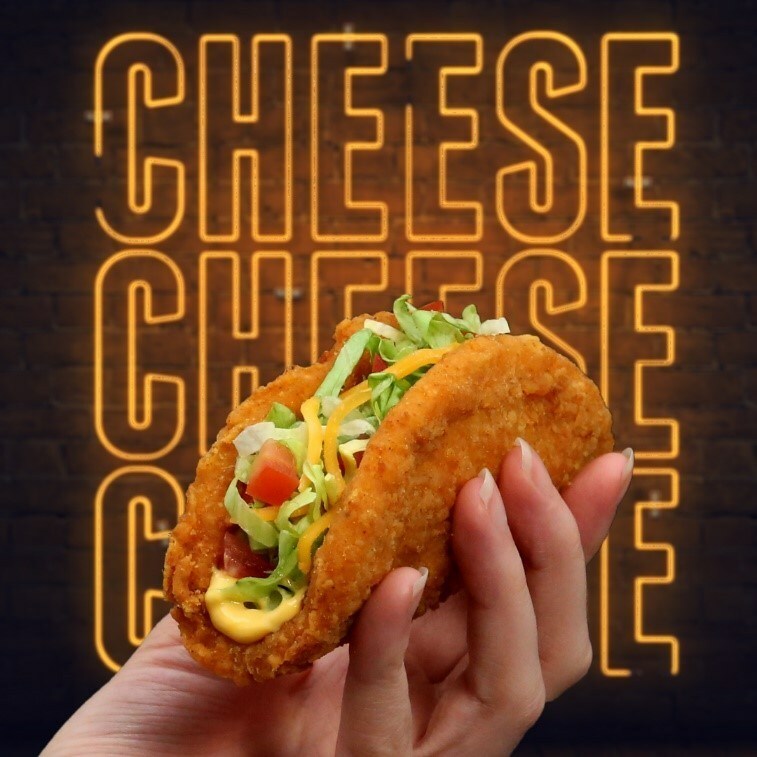 Taco Bell Canada operated the cheesiest billboard ever on January 19th as part of a new promotional push for its infamous Naked Chicken Chalupa, now available with nacho cheese. For the campaign, Taco Bell was out to prove that everything is better with nacho cheese. Located in Toronto, Canada, fans of Taco Bell were able to turn up on the day and slather any snack they had with nacho cheese - be that an apple, a sandwich or even a salad. The fast food operator was also sampling a limited amount of Nacho Cheese Naked Chicken Chalupas for free at the billboard. The Naked Chicken Chalupa is a shell made entirely of deep fried chicken, filled with cheese, tomato, lettuce and sauce. The billboard operated from 11.30am - 2.30pm on January 19th beside Taco Bell's flagship location at Queen West, and the nacho cheese was dispensed on a first come, first served basis.